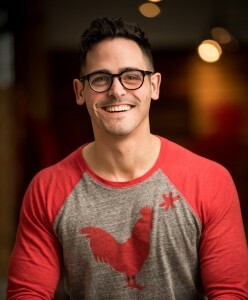 DELAWARE, Ohio – Joe DeLoss, founder, owner, and head fryer of Columbus-based Hot Chicken Takeover, will discuss his company’s efforts to provide supportive jobs for people working to overcome past incarceration, homelessness, and other barriers to successful employment, during a moderated chat Feb. 21 at Ohio Wesleyan University. DeLoss will speak at 7:30 p.m. in Benes Room B of the Hamilton-Williams Campus Center, 40 Rowland Ave., Delaware. 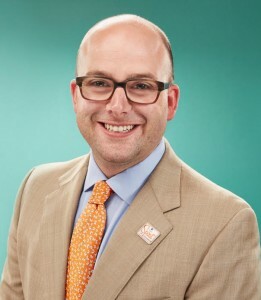 His presentation will be a fireside-style chat moderated by 2006 Ohio Wesleyan alumnus Dan Sharpe, vice president for community research and grants management for The Columbus Foundation. This free, public event represents OWU’s 2019 Heisler Business Ethics Lecture organized by The Woltemade Center for Economics, Business and Entrepreneurship. 2:1 Matched Milestone program – supporting the efforts of employees to afford housing, education, transportation, and more. Cash advances – providing access to emergency cash assistance and no-interest loans to manage crises. Counseling – retaining licensed counselors to provide recovery support and short-term counseling. Professional development – certifying employees in food safety through the Food Protection Program of Columbus Public Health. Competitive wages and tips – paying most employees salaries of $11+ per hour. Sharpe, who will moderate the Feb. 21 chat, has been with The Columbus Foundation since 2004. His responsibilities include overseeing the development and implementation of grant policies, program priorities, and strategic grant-making. Under Sharpe’s leadership, the Community Research and Grants Management team plays a unique role in convening community discussions around areas of need, and participating in community initiatives and partnerships to address these needs. At Ohio Wesleyan, he majored in politics and government. The university’s annual Heisler Business Ethics Lecture is funded by the Heisler Family Endowment for the Study of Ethics, which honors OWU graduates James Heisler, Class of 1938; Robert Heisler, Class of 1942; and Bruce Heisler, Class of 1949. The lecture is sponsored by The Woltemade Center for Economics, Business and Entrepreneurship, which helps students to integrate business theory and practice, and provides lectures and other resources to benefit students, faculty, and the local community. The Woltemade Center’s mission is to enhance academic programming and provide real-world opportunities to create future business and world leaders. Learn more at www.owu.edu/woltemade.